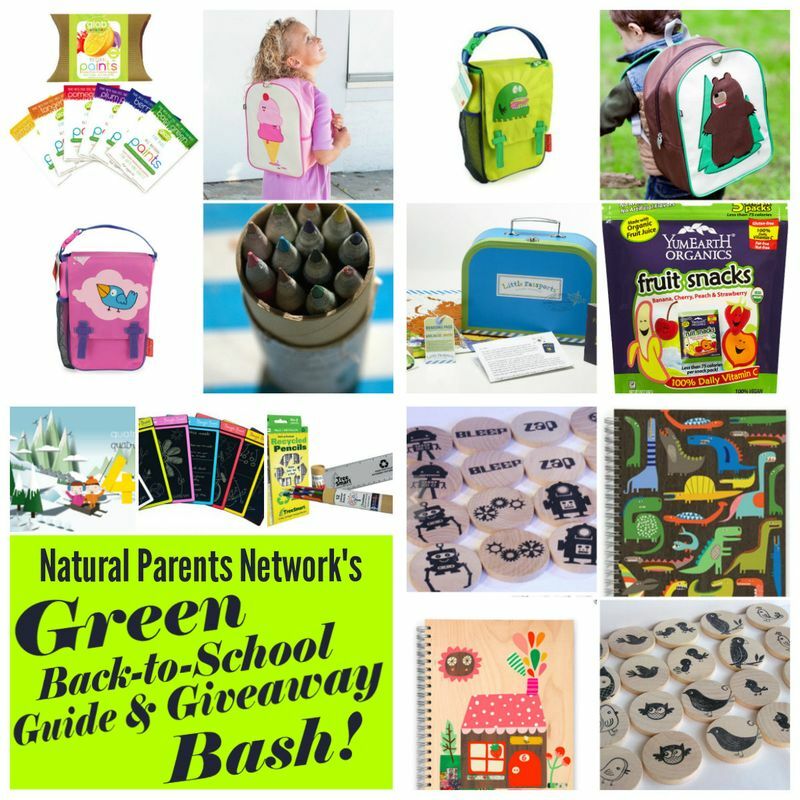 If you still need to complete your back-to-school shopping or find a back-to-school gift for a friend, the NPN Green Back To School Guide is full of awesome products and essentials for back to school experiences. But what’s even better, the NPN Green Back To School Guide has eco-friendly choices for almost any Back To School products you will need! In addition, the companies that have provided items for review and giveaway are almost exclusively made up of small businesses and Etsy shops. The Little Kid Backpack is designed for children ages two through five. Its sturdy construction is free of PVC, BPA, Phthalates, and Lead. The Nylon and Laminated Canvas surfaces are intended for easy cleaning, and the roomy interior has a smaller zippered pocket inside. The back panel and shoulder straps are padded for comfort. With a variety of cheerful embroidered characters, there is something for everyone! Ecojot creates eco-friendly stationery, paper goods and custom products that feature whimsical and inspirational designs. Their love for paper, the planet, and art has enabled them to create a sustainable brand available in hundreds of locations around the world. In addition, Ecojot offers an fantastic program called GIVE that provides notebooks and school supplies to children in need. wonderfully designed lunchbox container made up of three compartments to keep food separated. Now you can pack juicy foods in right next to your dry foods and not worry about it getting mushy, and flavors are kept separate as well! Pair the Bynto with the super cool insulated lunch bag (which it fits in perfectly) and you are set! The Insulated Lunch Bags have neat kid-friendly designs while also catering to the practical. There’s a place for a drink on the side, a pocket inside for an ice pack, an outside pocket for a napkin and closes with a zipper and flap. You can even pull out the liner for cleaning ease. flavorful, fruity snack. The flavors offered are banana, cherry, peach, and strawberry. These fruit snacks are shaped like their real-life fruit friends. Each package of YumEarth Organics fruit snacks contains 5 individual snack packs, there is less than 75 calories per snack pack. YumEarth Organic Fruit snacks are made with real fruit extracts and no artificial flavors or dyes. They were created to taste like real fruit and are delicious. Honestly, if I didn’t know better, I would have thought my kids were eating candy and not real-fruit snacks. Set: Apple n Amos Wooden Match Me Numbers are handmade wood toys inspired by Montessori principles. These wooden numbers are the perfect tool for children of all ages. The very young can use these wooden numbers to help them learn numbers, and the older child can use them to assist with addition and subtraction. These wooden numbers be used in the classic game of Memory, they can be used as counting tools to help with homework, homeschooling or play. crafted paints made from fruits, vegetables, and herbs with natural ingredients and organic extracts. Glob’s eco-friendly art supplies and natural paints are sourced from recyclable, and biodegradable materials. Safe and made from natural ingredients, these paints are fun, vibrant, and easy to use.The paint set comes with everything you need except water and paper, including paint powder, little cups to mix in, and two beautiful bamboo paintbrushes. Les Trois Elles Interactive is a Gold Medal winner of the 2011 Parents’ Choice Award and is featured in Apple’s New & Noteworthy. This app has a variety of educational activities for your little ones including 10 animated, interactive number scenes for numbers 0-9. It also includes a sorting/counting game as well as the option to simply ‘Draw’ and create. The French language app is a fantastic way to introduce children to a language if you cannot speak it yourself and makes learning fun and exciting as well as highly interactive. From our Reviewer Shannon at Pineapples and Artichokes, TreeSmart is dedicated to the idea that all of us are responsible to our environment. We must promote the wise use of all our global natural resources. These pencils come in an adorable tube and it is very sturdy paper with a nice close-fitting lid. They are packed in tightly enough that they don’t knock each other around, but not too tight that Moira can’t get them in and out on her own. I think this would be a perfect travel pack of pencils. I was also excited to discover that the company is located in the Pacific Northwest! 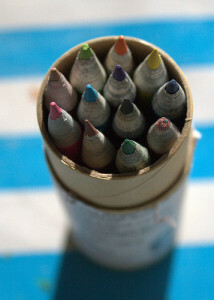 The colors are strong and vibrant and the small size makes them easy for both kids to use. Colored pencils in our house are usually used once or twice and then ignored, but these have been coming out over and over for different projects. looking for inspired and creative ways to learn about the world with their own children, these two moms came up with the concept for Little Passports. They incorporated online games and monthly travel packages to come up with two unique learning journeys for kids: the Little Passports World Edition and the Little Passports USA Edition. The World Edition is designed for children 5-10 years old. In the first month of your subscription, your child receives a travel suitcase, a colorful wall map, an introductory letter, a passport, stickers, an activity sheet, and access to online games. Whether you are a homeschooling family or your children attend school away from home, Little Passports is an excellent way to supplement your child’s studies of geography and culture. intuitive tool for drawing or writing on, our little one loves filling it up with pictures using the pencil-sized stylus that comes with it. For kids who love to draw or write the same things over and over I would say this is an especially awesome tool- as well as for car rides, waiting in the cart at the grocery store, church if you go, or any other time you need to keep a child calm while they’re waiting in addition to when they just want to scribble or draw! We’ve used it extensively for educational purposes- it’s wonderful for her to practice her letters on and she loves writing, so this is great because it saves paper and is very fun! If you want a chance to win our fabulous prize package including all these awesome gifts, you’ll want to enter using the Rafflecopter below. MANDATORY ENTRY: In the box provided in the first Rafflecopter entry, tell us which prize package you want to win if you’re picked! You must enter your name and email address while leaving a comment in the Rafflecopter system for your entry to count. Contest closes September 30 at 11:59 p.m. Eastern Time. My 2 sweet boys will greatly enjoy this gift set! My daughter will enjoy this gift set! My son , who is a kindergartner would love these items! My 4 year old and 2 year old will love the gift set! I have 3 boys and they would each enjoy things from the gift set. My daughter will enjoy the back to school gift set! And I will too!! my 3 kids would love them! Awesome giveaway very neat products! my sons will enjoy the fruit snacks. My sons would enjoy this if I won! My son just started kindergarten and he would love these items! My nephew is so excited about preschool – he would love this!